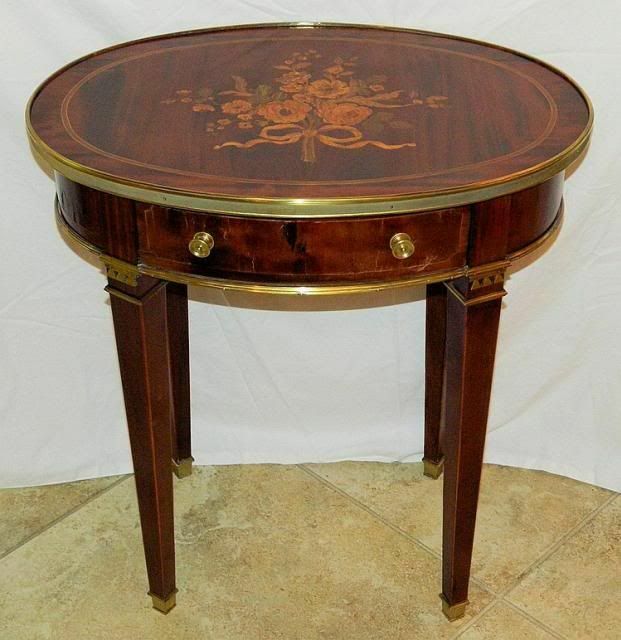 Antique French banded marquetry tea table. 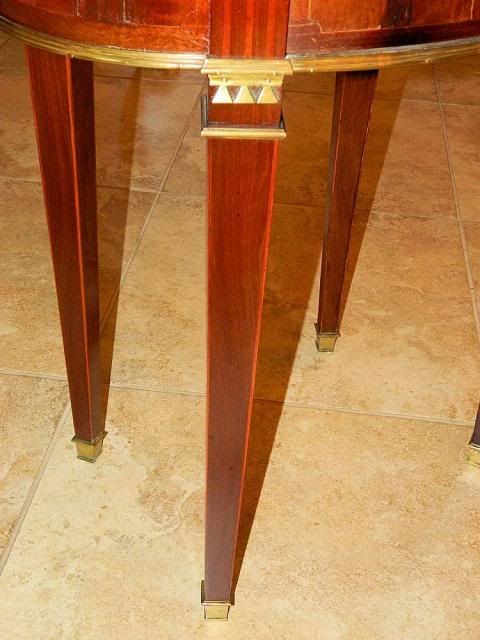 The table measures 24" x 16 3/4" by 26.5" tall. 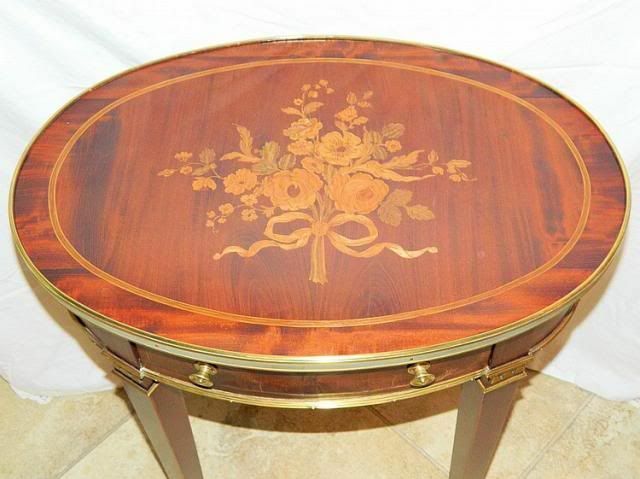 The piece is inlaid with a center medallion floral bouquet. 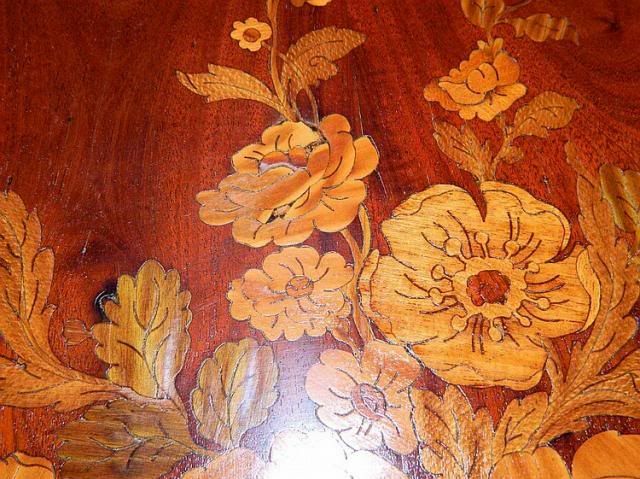 There is some veneer loss to the drawer and a few lifting panels of veneer but intact. 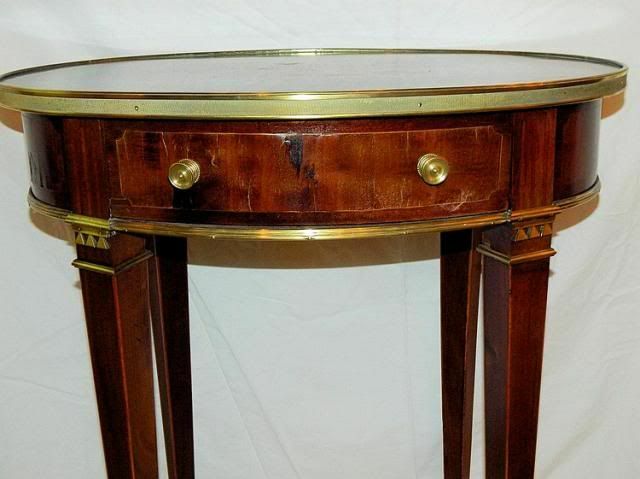 The table is nicely appointed with gilded bronze banding and mounts. We date the piece to the early 19th century legal antique.